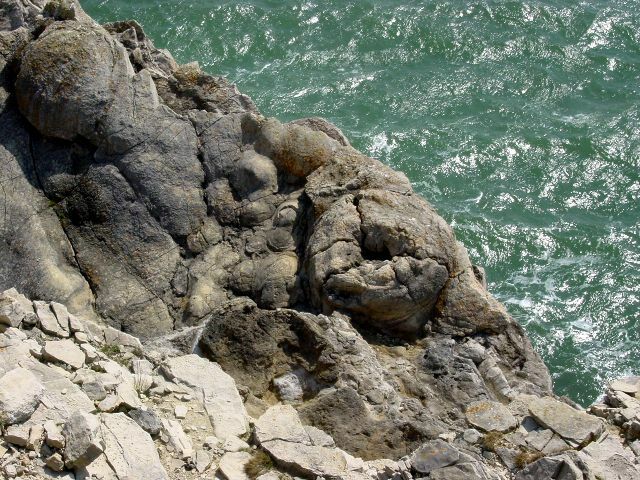 Part of the famous "fossil forest" on the cliff edge to the SE of Lulworth Cove, this picture shows the fossilised remains of a tree stump dating back to the Jurassic Era. © Copyright Graham Pritchard and licensed for reuse under this Creative Commons Licence. © Copyright Helena Downton and licensed for reuse under this Creative Commons Licence. The Fossil Forest provides a fascinating insight into conditions prevailing in the Upper Jurassic period, 135 million years ago. They are on a ledge some 25 metres above the sea. 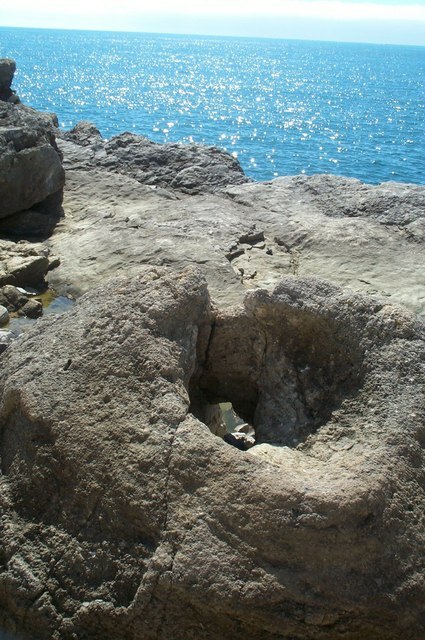 On this ledge are some ring-shaped structures up to 2m across. 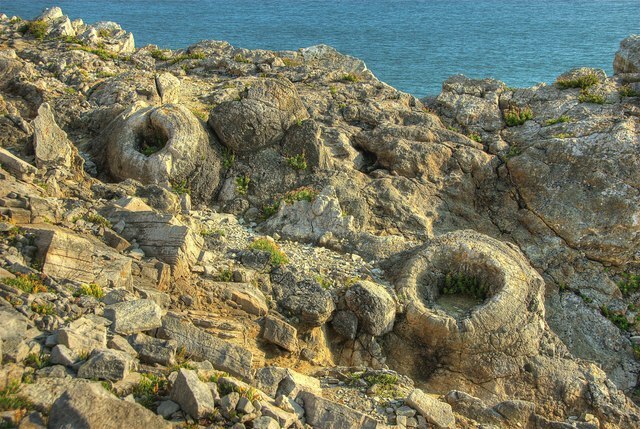 These are moulds of gymnosperms (early coniferous trees) which died after being encased in sediment. Most of the trees were upright leaving round holes, but some had fallen leaving elongate coffin-shaped moulds. © Copyright Julian Dowse and licensed for reuse under a Creative Commons Licence.